An autumn visit exploring with Islandscape Photography http://www.islandscapephotography.co.uk) and Wild Scotland http://www.wild-scotland.co.uk). ©Ellen Barone http://ellenbarone.com). All Rights Reserved. 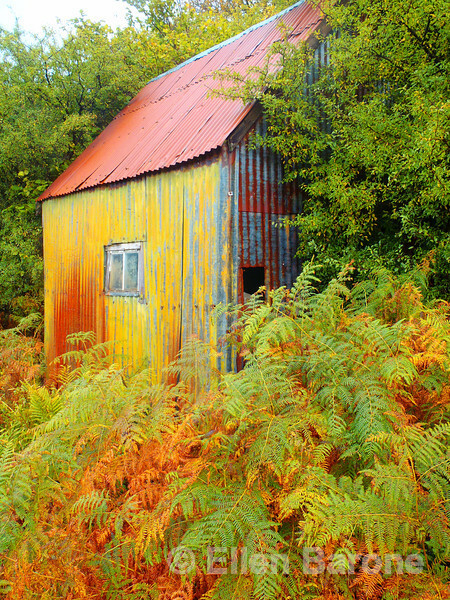 Colorful chicken shed and autumn bracken, Isle of Mull, Scotland, U.K.